Spruce It Up Quilting: Winner and winnings! 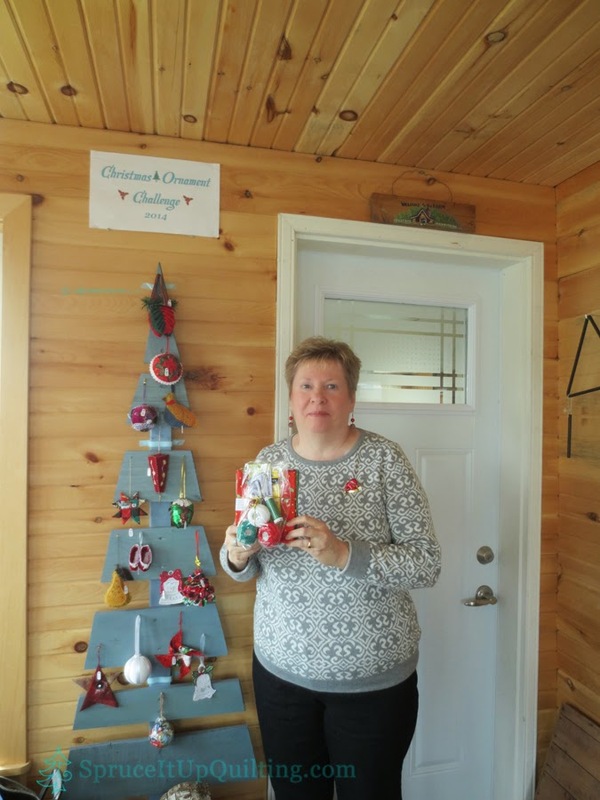 2014 Spruce It Up Quilt Shop's Christmas Ornament Challenge Winner! Hard to tell in the photo which ornament you made, mind you i am looking at this on a ipad mini! The stylized tree beside you is a great idea! The winning ornament Beth made is the star in the lower left corner in the photo. You can also see it in the previous blog. This is Beth and her winnings! My husband made the tree from scrap wood! Great tree and great ornaments. There seems to be quite a lovely collection.